Finn had his first watercolor painting experience yesterday. 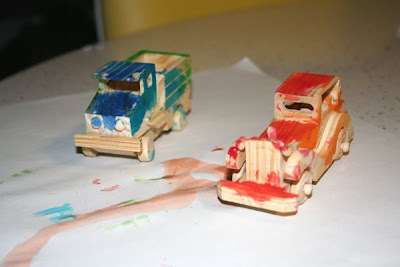 He painted a couple of wooden cars Paul picked up for him. 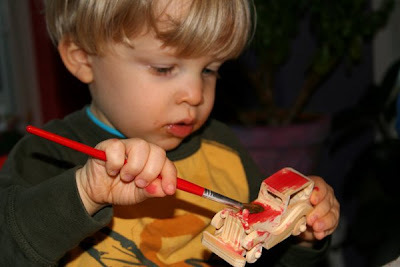 Finn very intently worked on first his car then his truck. We thought he did a smashing job for his first try with watercolors. He's already been asking to "paint more with that" so I'm sure we'll be watercolor painting quite a lot this weekend. Of course, we are supposed to get 70 degree temperatures this weekend so I imagine much of our weekend will be spent outdoors. 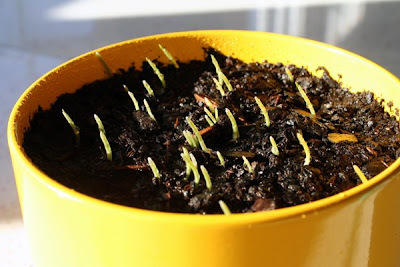 Also, the cat grass has sprouted and is leaning toward the light. 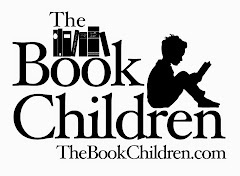 It's growing by leaps and bounds and the kids are thrilled. Have a lovely weekend filled with sun and the coming of spring!! 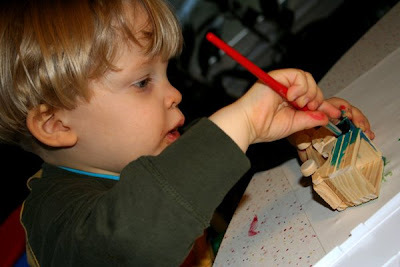 I love the intense, concentrating look on his face as he paints. Painting is just so fun, no matter what age you are. And that cat grass sprouted FAST!!! I love watching little ones paint. Their look of intense concentration always makes me smile. 70 degrees???? I want some of that! And I love those grass buds peeking through. Such a pretty sight. What wonderful keepsakes Finn created! He is such a little cutie! Didn't you just have snow! 70 degrees sounds wonderful. :) I love the way the car and the truck turned out with the watercolors. I can't believe your temperatures! LOVE the cars. Too cute!